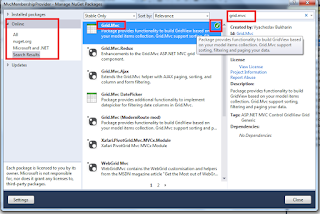 In previous tutorial we learned how to use membership provider in asp.net mvc.Here we will learn how to Display Roles for the users in Asp.Net MVC Membership. First proceeding to this we need to add a class or we need a model name is Role. Add this role model inside the account model. After creating action method for Role we need to add a view for this, For adding view right click on the “UserRole” action method a window will open there you select model class as Role model and select scaffold template as Create,And after selecting all these click on Add. It will add a view for you and you will see this view under the account folder in View. After making this view we need to insert role to database so for that we need to add code to insert data into database , so for that we need to add code in HttpPost method of UserRole action method. Inside this action method there is a property name is [Roles.RoleExists(role.RoleName) ]to check that this Role is already exist or not in database , it return Boolean value. So write the following code in UserRole Action method. So far we created Role for the user. Now we will learn how to assign role to the user. DBConnectionForMembership is the connection string name which we defined in web config file. Now we need to add action method for displaying the role of users and add a action methos in account controller class name is “DisplayRoleForUsers”. After adding action method ,now need to add view for displaying the role of user so for that right click on DisplayRoleForUsers action method add a view without creating strongly typed view. Now this view will create a empty view and for showing role of user we need a grid. 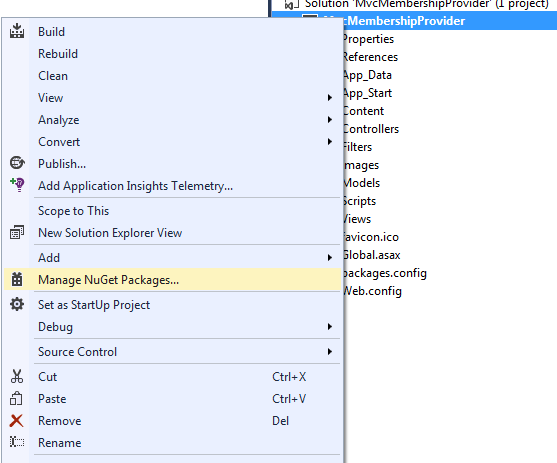 After click on nugget packet manager a window will open there you search “Grid.Mvc” under online panel. 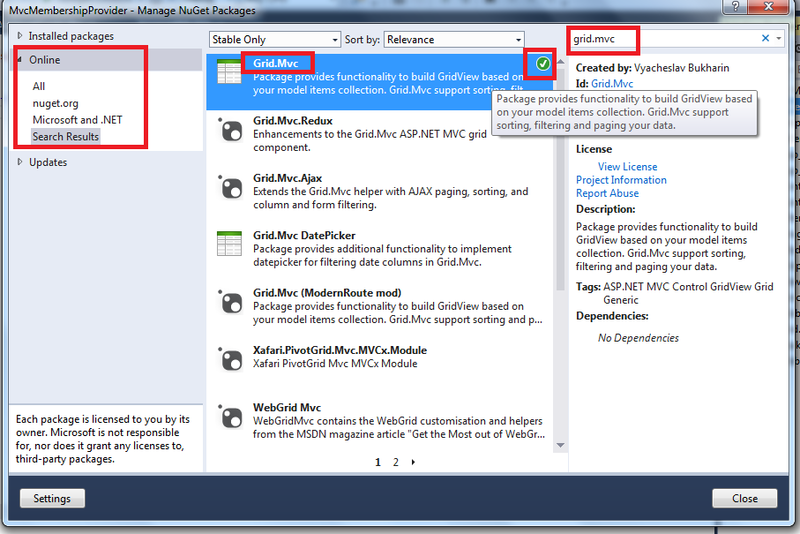 And install this grid to the application.